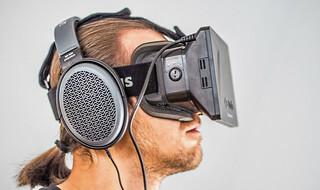 Virtual Reality – the new mobile? Acquisitions by large companies can be a bit of a mystery, forcing people to ponder why they are spending their money on unrelated markets or technologies. Is it a stroke of brilliant foresight, PR by association or just bailing out a mate with an interesting idea? Facebook’s purchase of virtual reality company Oculus VR is the latest purchase that has led to a lot of head scratching. How does the company’s immersive headset for video gaming fit into Mark Zuckerberg’s vision for the future of the social media giant? Will every Facebook user be issued with a headset so that they can see their friends and ‘like’ things in a virtual world? Zuckerberg himself has said that he sees virtual reality as the next stage of computing, after mobile, and the company is planning to expand the use of Oculus technologies to include “communications, media and entertainment, education and other areas”. Some of the original KickStarter backers of Oculus, which initially raised £1.5m on the crowd funding site, are unhappy that they won’t see any of the $2bn purchase price, but their reaction seems to ignore the basic site premise of providing funding for zero equity. Having been to a demonstration of virtual and augmented reality technology a few months ago, I think there are three main reasons that Facebook has shelled out for Oculus VR. Firstly, bear in mind they are actually ‘only’ paying $400m in cash (the rest is in Facebook shares), so they are not betting the farm. And as an internet company that started with essentially one product, they have been diversifying rapidly into neighbouring markets, with the purchase of WhatsApp and Instagram. This mitigates the risk of having all your eggs in one basket and provides the chance to diversify and sell other things to your enormous user base. The perfect case in point is Google. While it began in search it now offers everything from mobile and desktop operating systems, robotic cars, smart thermostats and cloud-based office applications. And that’s the stuff we know about. In an industry as fast-moving as the internet, clever companies realise that they can’t stand still – better to take a punt on a variety of new technologies, see what works and learn as you go. In my opinion, the second reason is based more on a desire to be taken seriously. Google has Glass, Microsoft has Kinect and Amazon wants to deliver your parcels through drones. All bold statements that lift the company from being about mundane bits and bytes to being part of the real world. Facebook has a shedload of money and is essentially aiming to compete with its older, more established neighbours. But the third reason, is that Zuckerberg might just be right and VR could be the next wave of computing. The fact is that companies, brands and marketers are continually trying to get closer to consumers, and bridge the gap between the digital world (where everything can be measured) and the messy, chaotic real world. From Google Glass headsets to augmented reality and even QR codes, companies want us to use our mobile devices to interact with brands. The businesses that manage to own this intersection will be extremely powerful gatekeepers, in the same way that Google is the start point for the vast majority of internet browsing or searches. Time will tell whether Oculus becomes central to Facebook or withers away in a corner of the campus. It does mark a step change in Facebook’s growth, since, while the product is about virtual reality, the headset is a physical device, rather than an app or social media network. What it does show is that the Facebook of 10 years time will be radically different to the network we see today. In many ways the news that Google has bought smart home company Nest Labs shouldn’t be a surprise. It has been talking to the company for some time and apparently lots of Google employees had installed the company’s sensor based thermostat in their own homes. More to the point I think it fits in with Google’s overall objectives. As analysts have pointed out, Google isn’t a search engine company (and hasn’t been for some time), but is about data – collecting it (analysing search results, Google Glass, StreetView) and then using it to either sell you things (through adverts) or make your life better in some way. With billions of sensors embedded in previously dumb objects that will be communicating in real-time, the Internet of Things promises to create a tidal wave of data. Each piece will be tiny, but if you can bring it together and analyse it you can get an even deeper view of the world around us, and the people in it. Nest’s products are much more than thermostats, and provide Google with the sensor/Internet of Things expertise it needs to add to its product portfolio. It already has Android-based smartphones/tablets to act as controllers, the mapping technology to show where sensors are located and the technology to analyse billions of events in real-time. And with Google Fiber rolling out in several US cities, it has a network to send the data through as well. A simple example – your Nest thermostat notifies you that your boiler has gone wrong via your smartphone while you are at work. And suggests a registered tradesman that can fix it by trawling the web and any recommendations in your Google+ circles. Or alternatively gives you the address of the nearest clothing shop, so you can stock up on thick jumpers. Many people (myself included) would find this a bit creepy, but it is potentially possible if you can knit all the technology together. 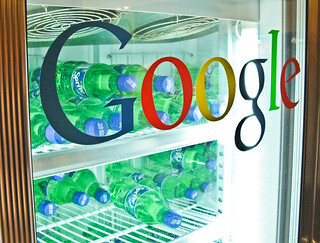 What I think is interesting is how utilities will respond to the future entry of Google into the market. After all, as publishers and others have found, Googlification can squeeze out incumbents through sheer scale and by engaging more closely with customers. Utilities have to decide whether they want to partner with the likes of Google, risk losing the customer relationship and become commodity suppliers of gas and electricity or take a stand and build stronger engagement with customers. In current circumstances that’ll be difficult – people are at best ambivalent about their utility supplier, and in an era of rising prices and poor customer service many actively dislike them. So there’s a big opportunity here – and something that Cambridge’s cluster of smart home/green tech companies could exploit. For example, AlertMe already has a partnership with British Gas, while Sentec is working with metering companies to make their products smarter. If energy companies don’t want to work with Google then they have two choices – do it themselves (teaming up with smaller tech companies), or partner with larger industrial tech companies, such as Siemens or Bosch. And these industrial giants will need the specialist expertise that smart home companies can provide. The utility market doesn’t move fast, so don’t expect to see Google running your home in the next year, but the Nest acquisition should actually spur the whole sector on, attracting both interest and investment. The world just got more interested in smart homes, which is good news for relevant startups in Cambridge and beyond.